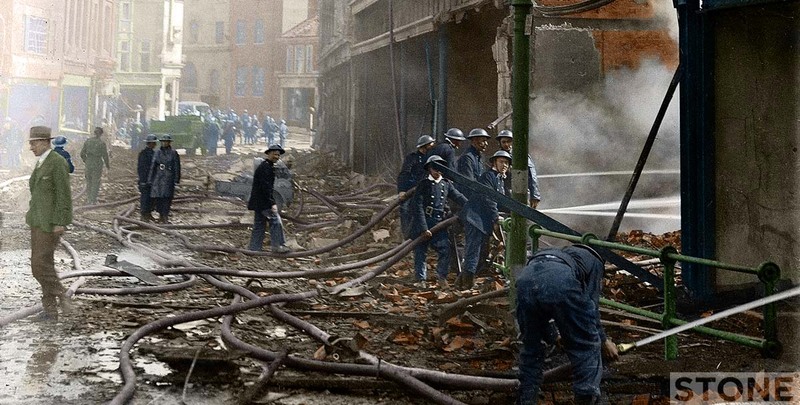 Rampant Horse Street in the aftermath of the second night of the Baedeker raids on Norwich, The Luftwaffe bombed across the centre of Norwich using incendiaries. 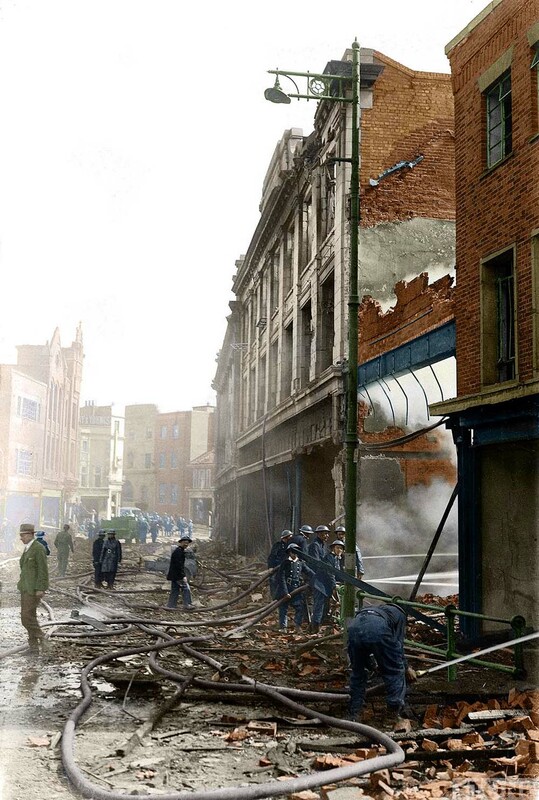 There were too many individual fires for the wardens to put them all out the fire spread from building to building in the wind with , from Curls to Buntings and Woolworths and up until it eventually caught the Mackintosh chocolate factory. Buntings (now M&S) was saved by having concrete floors which stopped some of the fire. Curls was burnt out and had to be demolished.